The quite, peaceful and rural slopes of the Upper Tiber Valley, in the shadows of the Apennine Mountains are home to a number of unusual festas throughout the year. The area stretches from Umbertide in the south, over the Tuscan border to Pieve San Stefano the most populous village in the north. The region also includes the towns of Citta di Castello, Gubbio, Sansepolcro, Anghiari and Piertralunga. Some of the celebrations are religious; others stretch back to the medieval period and a couple are artistic show pieces, all however prove to be pure gastronomic delights. Every May 15th the streets of this ancient town are crammed with people, colour and excitement as three 20’ wooden candles race through the narrow alleyways up to the Basilica of St Ubaldo. The whole weekend is a celebration with costumed parades, flag waving and lots of eating. Since 1594 the towns of Sansepolcro and Gubbio in May and September compete against each with crossbows. This demonstration of skill, nerve and concentration is a two leg contest featuring bowmen in period costume, ceremonial flag throwing displays, parading and copious eating. Three days of hill racing, where the competitors blast their way a thousand metres along a twisting, winding 7Km course, against the clock. Since 1965 drivers and the crowds in ever increasing numbers have assembled for this exciting spectacle amid some of the most beautiful scenery in Italy. Now in its 15th year the Umbrian Film festival grows more popular every year. Previous guest speakers and dignitaries have included Colin Firth, Terry Gilliam and Ken Loach who have lent their support to this picturesque hilltop town and its open-air exploration of European cinema. 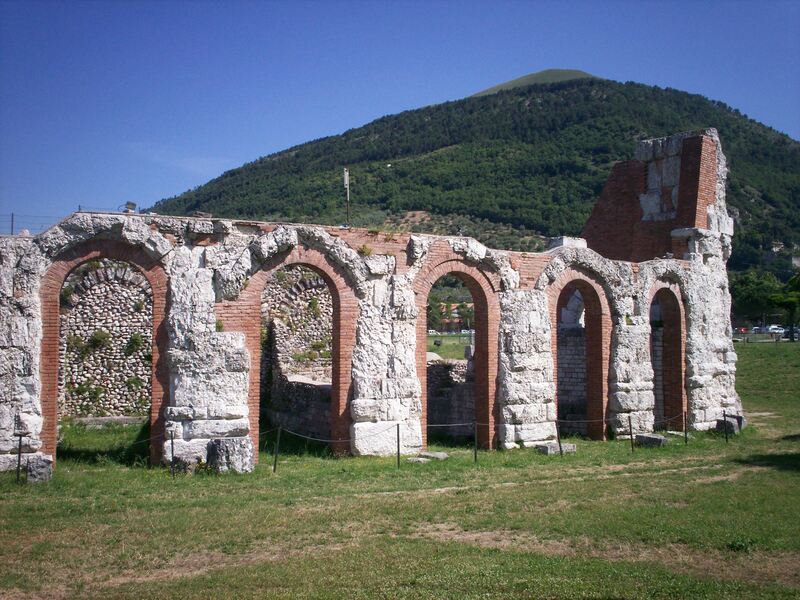 Gubbio’s first century, Roman Amphitheatre provides an idyllic, romantic setting for a month long series of classical plays, concerts and music. A great way to enjoy the warm summers evenings in the beautiful parklands below the town. The residents of the Prato quarter in Citta di Castello’s centre turn back the clocks and take you to Renaissance Italy. Everyone wears period costumes and cantinas are converted into bars or trattoria serving gorgeous home cooked food and drink. You can witness many displays of medieval life, men at arms in mock battles, falconry and handcrafts or just wander around the torch lit streets. September gives you another chance to get the old wimple out of the hat box and dust off your chain mail as Umbertide’s citizens stage an exciting Medieval Festival. Complete with jugglers, flag throwing, displays of age-old crafts and battle re-enactments. This modern jousting tournament has its roots in medieval times. Today the participants, riding a cart, run a lance through the hole of a barrel of water, suspended two metres above the ground. The winning knight gets the prize of a large, fat, goose. There are also other events, such as climbing the greasy pole, and the game of cooking pots and jugs. Four days of debate, lectures, demonstrations but most of all four days of chocolate. In whatever form, taste or use, you may have for this much loved treat, witness the Chocolatiers art at its sweetest. Held in the historic centre of Citta di Castello this three-day celebration of the life of Saint Florido, turns the whole centre into one vast outdoor market. Here you will find many strange and curious buys, from food and drink to handicrafts and tools. There are literally hundreds of stalls throughout the town during this popular fair. While this list is not exhaustive, it does give you a glimpse of the wonderfully diverse entertainment that is available when you step off the well-beaten tourist track. However with Assisi, Perugia and Florence just down the road you are never far away from the urban hustle and bustle should you miss it. This entry was posted in Festivals, Travel and tagged carnival, Castello, chocolate, crossbow, festa, Festival, Gubbio, holiday, Italy, parade, Sansepolcro, top ten, Umbertide, umbria, unusual festival, vacation. Bookmark the permalink.